When your father dies, it is difficult to write. Or at least it has been difficult for me. Actually, soon after dad passed in early June, I sat with mother and a few of dad’s close friends on the back patio listening to anecdotes, at once laughing and crying inside. 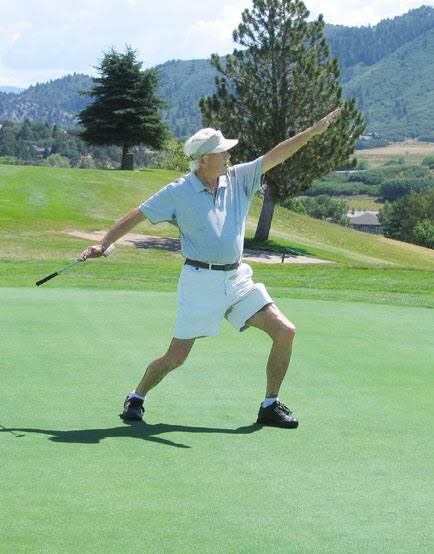 I then pulled together an Obituary for Wendell Oliver Long and we chose an image for the Durango Herald that is included here. Now, having spent a week in Durango with my family, mom, Mitchell, and getting back into the now familiar rhythm of school, I am feeling an impulse to write once again here on the Far Field Family blog. Too bad that dad can’t read these word. For he told many times how much he enjoyed reading about the goings on here at Water Run Farm. 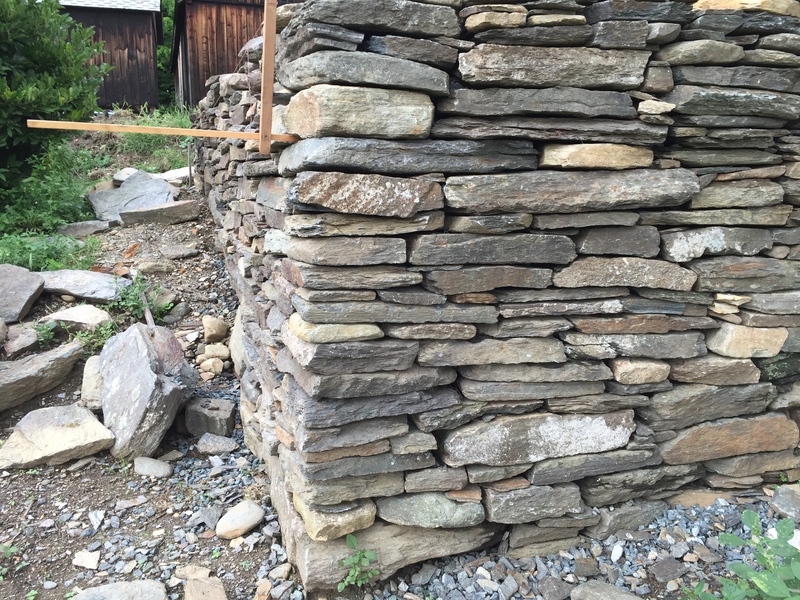 What I did this summer was work with stone. We are making a patio of sorts out front. The design includes a retaining wall that faces the garden. Every piece of stone is from Water Run Farm, harvested mostly from a stone garden of sorts in the woods. 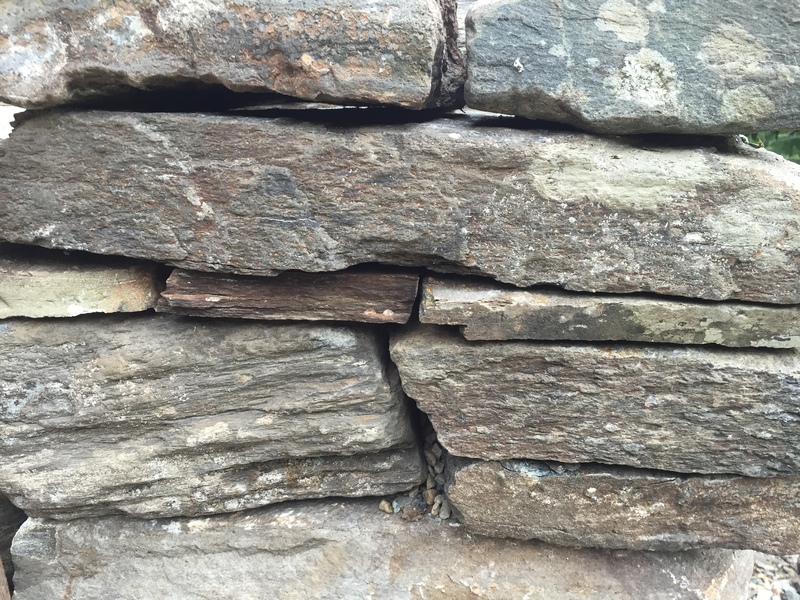 Over a period of a couple weeks I probably moved two tons of stone–with the help of a shale bar, and the hydraulics of our little blue New Holland tractor. The days of work in a hot and humid and dry New England were exhausting—in the best sense of all that the word exhaustion suggests. One week I lost five founds: sweating as I hauled rocks and moved into the deliberate and meditative process of placing stone on stone. Some afternoons, when Nathaniel came home from an equally challenging day of work remodeling and building houses with Bill and his crew, I was sitting in the shade drinking another quart of water. 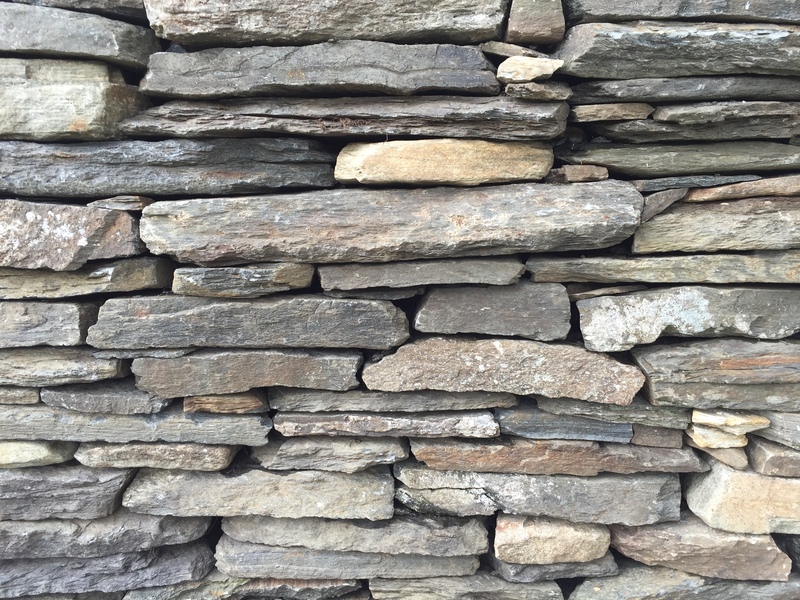 Building walls is a conceptual and practical problem. Selecting and rejecting, moving and then moving again. It is a problem that I really enjoy and without any instruction I am learning by going where I have to go. A few days, I came out to work and began by taking down a part of the wall that was not quite right and then building it up once again. Perhaps such problems are pathways for the mind and body to explore, to move in a world that has changed. This summer I am coming to know more fully that to live is to grieve—though it is more acute, for sure, when you lose someone that you love and who loved you. Life passes. Then it comes again. This summer has been in part trying to hold those two movements. And resolving never to let one or the other go. 2 Responses to "Au Revoir"